You didn’t have to watch the ball drop in New York Times Square to know that this is going to be a great year! It’s a new year so let’s talk about a new you! 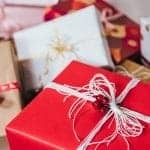 If you’re like most people, you’ve already made personal New Year’s resolutions for health and wealth but what about other resolutions for travel nurses? Let’s talk about career goals for the year. Maybe you want to meet new people, learn more about your city, or enhance a skill set, whatever it is, it’s possible and AB Staffing can help. When was the last time you went to work focused on the positive? You’re serving patients, doing hard work, and you’re special to those you serve. Showing up with negative thoughts and a frown isn’t helping them, or you. This year, we challenge you to be positive. Your patients count on you to be their guiding force, to take care of them, to reassure them. A simple way to do this is by smiling and being kind and light-hearted. Not only will it calm and reassure them, you will feel better too. Smiling activates the feel-good neurotransmitters so not only are you helping patients, you’re also lowering your heart rate and blood pressure! Take it a step further by leaving the stress of work and getting in tune with your mind by working out or taking meditation or yoga classes. Refocusing, like smiling and being positive, is beneficial to you and your patients. Create the calm in your life and watch how it impacts those around you in amazing ways. Are you interested in meeting new people? Visiting local restaurants? Finding like-minded individuals? We recommend going to networking events where you introduce yourself to fellow travel nurses and others. Benefits include making new friends, learning about the community, and connecting to other medical professionals. Check websites like Meetup.com for events or get some broadway tickets in NYC or maybe take a chance and joining a dodge ball team. It’s a great way to connect in a new city! Find a mentor. Be a mentor. Learn a new skill. Enhance an existing skill set. This year, we challenge you to be open to learning. That conference you’re dreading? Think of it as an opportunity to learn. I call it the golden nugget; even if an event is seemingly boring, there is always something to take away. Consider learning new specialty, but not sure where to start? Thankfully you have lots of resources. You may already know someone that does the job you are interested in. Ask them to lunch to talk about the pros and cons of the job. Also, don’t forget that your recruiter is always here to help. They can give you advice on what would be a logical next step in your career. If you have interest in a certain specialty but aren’t sure what the pay range is, they are happy to help guide you in the right direction. 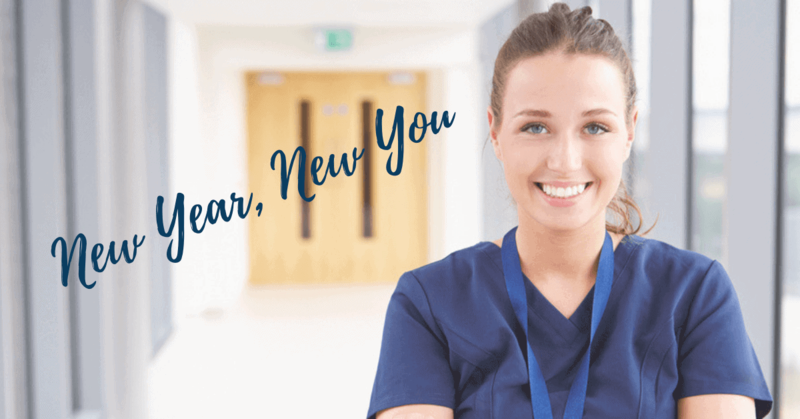 Our resolutions for travel nurses are really about how changing your mindset has the potential to change your career. Your smile could be the only one your patients or co-workers see. Your new hiking partner may have connections to your dream job. You may learn a new skill or choose a new specialty that is a perfect fit for you. Here’s to your success this year and always! If you’re a travel nurse seeking a new opportunity, check out the AB Staffing Job Board and call us today!